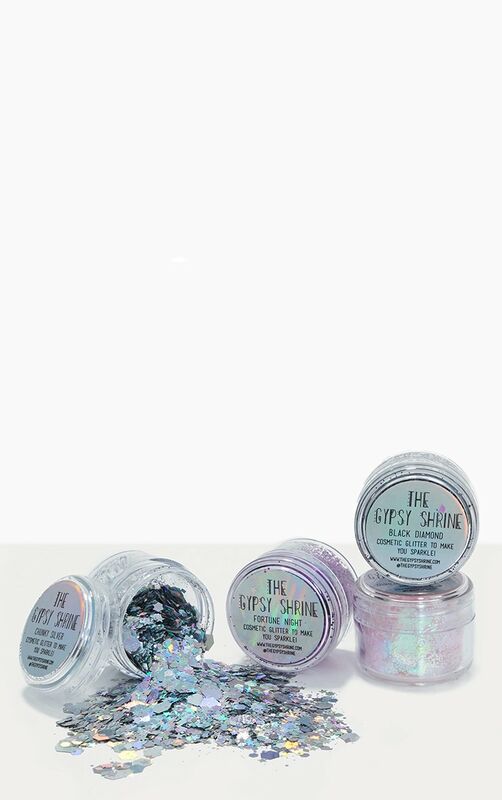 Cosmetic grade chunky glitter; safe for face, body and hair. This product is made up of purple, pinks and silver chunky hexagon, diamond and small glitter cuts - a bold hint of sparkle for the glitter lovers. The Midnight Glam Gift Set has you covered for party season.